With a 16-month gap between the Final Fantasy XV on console and its PC release, PC players are no doubt used to a bit of a wait for the series. But given that Final Fantasy 12 is now available on PC after a 12 year wait, suddenly those 16 months don’t seem so bad. 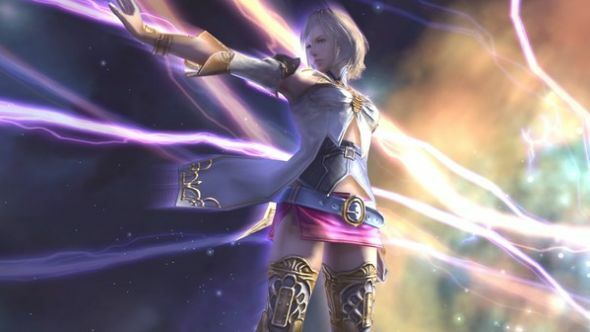 Why not play Final Fantasy 12 while you wait for Final Fantasy 15’s release date. Final Fantasy 12 first released on PlayStation 2 way back in 2006, and has just yesterday become available on Steam. It ushers players into an era of war between the Kingdom of Dalmasca and the Archadian Empire, and follows Princess Ashe, and her unlikely companion Vaan as they fight to liberate their homeland. Final Fantasy 12 The Zodiac Age is a new, remastered edition of the game. That means improved battle mechanics, a choice of soundtrack, New Game Plus (and Minus) and more. As well as all of the usual PC remastering, the Zodiac Age also includes the changes made as part of the Japanese second edition release. Final Fantasy 12 The Zodiac Age is currently available on Steam and Humble. From now until February 8, you can get a decent 20% discount, meaning you can pick up the game for just £27.99. You can check out the game’s launch trailer above.